Mundosparalelos Information Dance Pole Spring Pole Dancing News. 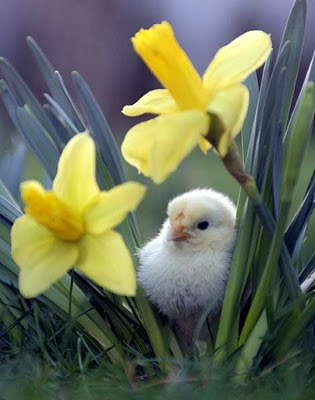 Picture shown above taken from a Daily mail article on Spring. So Spring is here which means it must be time to work on some new pole dancing moves! I have managed to get into a starfish but have not managed to get out of it gracefully. I tried the Flying K with little success and my twisted grip dead lift is still not happening, I can do the reverse dead lift i.e. go from the twisted grip handstand slowly down to the floor but can't seem to get it working the other way. OK, so some of you may think I am talking gibberish so I will try to get some videos and pictures posted soon. In the meantime here is a picture of the Flying K courtesy of the amazing Oona Kivela. In a bid to boost my strength and flexibility I joined Hayley's advanced pole dancing class last Monday and will be joining Tamar's advanced pole dancing class tomorrow. Those of you who saw my bruises this week will know that I have been training hard! Tamar's session plan for tomorrow sound as evil as Hayley's was last week so no doubt that by 9pm tomorrow I will have a new selection of bruises to display. Hopefully the extra training will pay off and I can finally achieve some of the new combinations I have been dreaming of. More news to follow on some special art of dance and NSPDS master classes for April & May including some special UK Pole Dance Day plans for May 1st. I will keep my blog fairly short for today as I have plans to visit my Nan and get some new leafy branches to make some spring houses for my Quail. I also have to get my council paperwork ready to get into the electoral office tomorrow so I don't miss the deadlines for handing in the nomination papers. Tonight I plan to eat out with my Mum too which I am really looking forward to, not sure where to eat yet but the new Seco lounge at the Royal William Yard (see picture below) is looking very tempting. Before I sign off I want to send a big 'Get Well Soon' message to Pole Dance Community approved member Miranda Goldring of Pole Affinity who has just had another operation to deal with her Thyroid Cancer. I really hope the operation was successful and that Miranda has been left with a positive outcome and that she will be back on the pole very soon. I hope to blog again ASAP about an issue in the world of pole dancing that has been annoying me for some time!